Also known as Nomarski microscopy or imaging, differential interference contrast microscopy takes advantage of differences in the light refraction by different parts of living cells and transparent specimens and allows them to become visible during microscopic evaluation. At right: Squash preparation of stained onion root tip cells showing various stages of mitosis. Differential interference contrast optics on a Leica microscope,taken with the X40 objective lens. In 1952 Georges Nomarski developed this technique as an improvement over phase contrast microscopy. The three essential elements in microscopy are magnification, resolution, and contrast. In brightfield microscopy stains are often used to render the specimen details visible under the microscope. The technique has inherent drawbacks and yields poor results when employed on living tissue. Although the necessary components for differential interference contrast imaging can be retrofitted to most light microscopes, it is a fairly complex viewing technique. Differential interference contrast produces contrast by visually displaying the refractive index gradients of different areas of a specimen. This process begins with light from an incandescent illumination source passing through a polarizing filter placed between the light source and the condenser. This orients the light waves in one direction so the electromagnetic waves oscillate in only one plane. Next, this beam is directed through a two-layered modified Wollaston prism which splits the beam into two beams which are spatially separated by a distance equal to the resolution of the microscope’s objective lens. The path of one beam is directed through the specimen and the other, or reference beam, merely passes through the background and the two beams are again combined by an upper Wollaston prism placed above the objective lens. Different parts of the specimen have different refractive indices and when the beams are compiled by the second prism and a second polarizing filter, or analyzer, reconstitutes the vibrational planes of the beams, this causes amplitude variations that are visualized as differences in brightness. Nearly all research grade brightfield microscopes can be retrofitted with the necessary components to employ this imaging technique. Linear Polarizer - Inserted in microscope train between the incandescent illumination source and the condenser, this component is designed to produce linearly polarized or plane-polarized light necessary for the interference detection. To provide more image contrast adjustment, some differential interference contrast kits use a rotating polarizer and a quarter-wavelength retardation plate. When the contrast is perfectly adjusted the image of the specimen will have a three dimensional effect. Nomarski Prism – Also known as a Wollaston prism or condenser prism, this beam-splitting prism divides the polarized light beam emanating from the polarizer into two beams. If this prism is separate from the condenser, the light beams are transmitted to the condenser; however it is often incorporated into the design of a specialized condenser. These light beams are known as ordinary and extraordinary or specimen and reference beams. Objective Prism – Either adjustable or fixed mounted, this upper prism recombines the separated beams into elliptically polarized light. Like the lower prism, this prism is formed by affixing two optical quartz wedges together. The wedges are cut differently so that one of them has its optical axis parallel to the prism’s surface and the other one’s optical axis is at an angle to the prism’s flat surface. Analyzer – Termed an analyzer, this is really a second polarizing filter and is usually located behind the objective prism and is oriented perpendicular to the transmission path of the lower polarizer. This is where the interference occurs that generates the differential interference contrast. The light that passed through the specimen will have a different refractive index occasioned by the differences in the thickness of the different structures and areas of the specimen. Interestingly, if no specimen is in place and both light beams enter the upper prism without any refractory differences, the effect of the lower prism is exactly reversed by the upper prism and the image field appears black, an effect known as extinction. An advantage of DIC is that the specimen will appear bright in contrast to the dark background. This method can take advantage of being able to use a full width condenser aperture setting. Where originally a slit condenser had to be used to produce a thin vertical beam of light, this limited the amount of illumination that could be brought to focus on the specimen. The lower prism allows the user to employ the full condenser aperture by compensating for the phase differences of all the emitted light and results in a brighter image. This system is relatively easy to incorporate with an existing brightfield microscope. Two of the short comings of the phase contrast method are the fact that the specimen must be very thin and a halo is produced in the viewing field. No halo effect occurs with differential interference contrast and it can be used to produce very clear images of thick specimens. It can also be used in conjunction with digital imaging systems to add further definition to the image. Differential interference contrast imaging can be used in conjunction with fluorescence microscopy to provide a better fluorescence image and to pinpoint specific areas on a specimen before switching to the fluorescence mode to further examine the object. 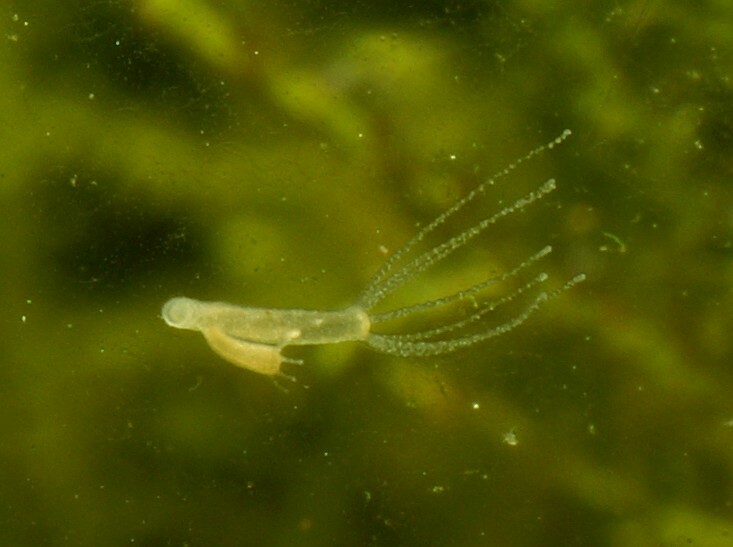 A major advantage of the differential interference contrast technique is in examining living specimens when normal biological processes might be impeded by normal staining procedures. A drawback to this type of imaging is that the three-dimensional image of a specimen may not be accurate. The enhanced areas of light and shadow might add distortion to the appearance of the image. Similar in some respects to phase contrast microscopy, differential interference contrast microscopy allows transparent objects to be seen by using the difference in light’s refraction when transmitted through the varying thicknesses of a specimen. This technique gives a greater depth of focus allowing thicker specimens to be observed under higher magnifications. Producing a monochromatic image, areas of the object appear brighter as the optical path of the transmitted light increases and darker in areas of decreased length of optical path. For further information, read on to find out about the many microscopy imaging techniques available.